Abnormal Heart Rhythm / Arrhythmia. Adjunct Associate Professor Yeo Khung Keong is a Senior Consultant with the Department of Cardiology at the National Heart Centre Singapore. He is the Academic Vice-Chair of Training and Education, and the Director of Cardiology Senior Residency Programme in the Cardiovascular Sciences Academic Clinical Programme. Adj Assoc Prof Yeo is also the Deputy Group Chief Medical Informatics Officer (Research) of SingHealth. Adj Assoc Prof Yeo graduated in 1997 from the National University of Singapore where he obtained his Bachelor of Medicine and Surgery. He subsequently trained in the United States of America and obtained his American Board of Internal Medicine Certifications in Internal Medicine (University of Hawaii), Cardiovascular Medicine (University of California, Davis), Interventional Cardiology (University of California, Davis). He then spent an additional year training with a world-renowned cardiologist in peripheral arterial and carotid interventions. He is also Board-Certified by the American Board of Vascular Medicine in Vascular Medicine and in Endovascular procedures. During his time at UC Davis, he trained in the MitraClip percutaneous repair of the mitral valve for mitral regurgitation. Currently, Adj Assoc Yeo leads the MitraClip programme at the National Heart Centre Singapore, the first in Asia. 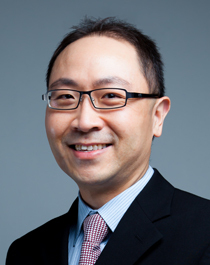 In Singapore, Adj Assoc Prof Yeo is the Programme Director of the Singhealth Cardiology Senior Residency Programme. Clinical Outcomes of Bioresorbable Scaffold in Coronary Artery Disease: A Systematic Literature Review. Keh YS, Yap J, Yeo KK, Koh TH, Eeckhout E. J Interv Cardiol. 2016 Jan 5. doi: 10.1111/joic.12260. [Epub ahead of print]. Correlation of the New York Heart Association Classification and the 6-Minute Walk Distance: A Systematic Review. Yap J, Lim FY, Gao F, Teo LL, Lam CS, Yeo KK. Clin Cardiol. 2015 Oct;38(10):621-8. doi: 10.1002/clc.22468. Epub 2015 Oct 7. Transradial and transfemoral coronary angiography and interventions: 1-Year outcomes after initiating the transradial approach in a cardiology training program. Balwanz CR, Javed U, Singh GD, Armstrong EJ, Southard JA, Wong GB, Yeo KK, Low RI, Laird JR Jr, Rogers JH. American heart journal. Mar 2013;165(3):310-316. Comparison of procedural success and long-term outcomes of stent thrombosis in coronary bypass grafts versus native coronary arteries. Waldo SW, Armstrong EJ, Yeo KK, et al. The American journal of cardiology. Mar 1 2013;111(5):689-694. Gender-related variation in the clinical presentation and outcomes of critical limb ischemia. McCoach CE, Armstrong EJ, Singh S, Javed U, Anderson D, Yeo KK, Westin GG, Hedayati N, Amsterdam EA, Laird JR Jr. Vascular medicine. Feb 2013;18(1):19-26. Percutaneous mitral valve repair with MitraClip for severe functional mitral regurgitation. Yeo KK, Ding ZP, Chua YL, et al. Singapore medical journal. Jan 2013;54(1):e9-e12. Excimer laser with adjunctive balloon angioplasty and heparin-coated self-expanding stent grafts for the treatment of femoropopliteal artery in-stent restenosis: twelve-month results from the SALVAGE study. Laird JR, Jr., Yeo KK, Rocha-Singh K, et al. Catheter Cardiovasc Interv. Nov 1 2012;80(5):852-859. Right pace, wrong place. Ann Acad Med Singapore. Lim CP, Yeo KK, Tan BY, Liew R, Tan JW. Sep 2012;41(9):417-419. Coronary artery bypass operations for elderly patients in California, 2003 to 2008. Li Z, Amsterdam EA, Yeo KK, et al. Ann Thorac Surg. Apr 2012;93(4):1167-1172. Angiographically confirmed stent thrombosis in contemporary practice: Insights from intravascular ultrasound. Armstrong EJ, Kwa AT, Yeo KK, et al. Catheter Cardiovasc Interv. Apr 18 2012. Contemporary clinical characteristics, treatment, and outcomes of angiographically confirmed coronary stent thrombosis: results from a multicenter California registry. Yeo KK, Mahmud E, Armstrong EJ, et al. Catheter Cardiovasc Interv. Mar 1 2012;79(4):550-556. Comparison of clinical characteristics, treatments and outcomes of patients with ST-elevation acute myocardial infarction with versus without new or presumed new left bundle branch block (from NCDR(R)). Yeo KK, Li S, Amsterdam EA, et al. The American journal of cardiology. Feb 15 2012;109(4):497-501. AsiaPCR/SingLive: in its third year and growing. Lim E, Lim CP, Muller O, Yeo KK, Lim ST, Koh TH, Eechkout E. EuroIntervention. Feb 2012;7(10):1144-1146. Clinical presentation, management, and outcomes of angiographically documented early, late, and very late stent thrombosis. Armstrong EJ, Feldman DN, Wang TY, Kaltenbach LA, Yeo KK, Wong SC, Spertus J, Shaw RE, Minutello RM, Moussa I, Ho KK, Rogers JH, Shunk KA. JACC Cardiovasc Interv. Feb 2012;5(2):131-140. The treatment of femoropopliteal in-stent restenosis: back to the future. Laird JR, Yeo KK. J Am Coll Cardiol. Jan 3 2012;59(1):24-25. Angiographic stent thrombosis at coronary bifurcations: short- and long-term prognosis. Armstrong EJ, Yeo KK, Javed U, et al. JACC Cardiovasc Interv. Jan 2012;5(1):57-63. Outcomes following treatment of femoropopliteal in-stent restenosis: A single center experience. Yeo KK, Malik U, Laird JR. Catheterization and cardiovascular interventions: official journal of the Society for Cardiac Angiography & Interventions. May 12 2011. Early duplex scanning after infrainguinal endovascular therapy. Humphries MD, Pevec WC, Laird JR, Yeo KK, Hedayati N, Dawson DL. J Vasc Surg. Feb 2011;53(2):353-358. Relation of race, ethnicity and cardiac surgeons to operative mortality rates in primary coronary artery bypass grafting in California. Castellanos LR, Li Z, Yeo KK, Young JN, Ayanian JZ, Amsterdam EA. The American journal of cardiology. Jan 2011;107(1):1-5. Life-threatening coronary sinus thrombosis following catheter ablation: case report and review of literature. Yeo KK, Davenport J, Raff G, Laird JR. Cardiovasc Revasc Med. Oct-Dec 2010;11(4):262 e261-265. Early duplex scanning after infrainguinal endovascular therapy. Humphries MD, Pevec WC, Laird JR, Yeo KK, Hedayati N, Dawson DL. J Vasc Surg. Oct 23 2010. Off-pump bypass surgery and postoperative stroke: California coronary bypass outcomes reporting program. Li Z, Denton T, Yeo KK, et al. Ann Thorac Surg. Sep 2010;90(3):753-759. The role of stent-grafts for prevention and treatment of restenosis. Kwa AT, Yeo KK, Laird JR. J Cardiovasc Surg (Torino). Aug 2010;51(4):579-589. Operative mortality in women and men undergoing coronary artery bypass grafting (from the California Coronary Artery Bypass Grafting Outcomes Reporting Program). Bukkapatnam RN, Yeo KK, Li Z, Amsterdam EA. The American journal of cardiology. Feb 1 2010;105(3):339-342. Recovery of methamphetamine associated cardiomyopathy predicted by late gadolinium enhanced cardiovascular magnetic resonance. Lopez JE, Yeo KK, Caputo G, Buonocore M, Schaefer S. J Cardiovasc Magn Reson. 2009;11:46. Late surgical mitral valve repair after percutaneous repair with the MitraClip system. Rogers JH, Yeo KK, Carroll JD, et al. J Card Surg. Nov-Dec 2009;24(6):677-681. The effect of posture on Cheyne-Stokes respirations and hemodynamics in patients with heart failure. Soll BA, Yeo KK, Davis JW, Seto TB, Schatz IJ, Shen EN. Sleep. Nov 2009;32(11):1499-1506. A comparison of echocardiographic findings in young adults with cardiomyopathy: with and without a history of methamphetamine abuse. Ito H, Yeo KK, Wijetunga M, Seto TB, Tay K, Schatz IJ. Clin Cardiol. Jun 2009;32(6):E18-22. Percutaneous treatment of a large superior mesenteric artery pseudoaneurysm and arteriovenous fistula: a case report. Yeo KK, Dawson DL, Brooks JL, Laird JR. J Vasc Surg. Sep 2008;48(3):730-734. Direct flow medical percutaneous aortic valve: proof of concept. Low RI, Bolling SF, Yeo KK, Ebner A. EuroIntervention. Aug 2008;4(2):256-261. Food and Drug Administration-approved endovascular repair devices for abdominal aortic aneurysms: a review. Tan JW, Yeo KK, Laird JR. J Vasc Interv Radiol. Jun 2008;19(6 Suppl):S9-S17. Excimer laser assisted angioplasty for complex infrainguinal peripheral artery disease: a 2008 update. Tan JW, Yeo KK, Laird JR. J Cardiovasc Surg (Torino). Jun 2008;49(3):329-340. Severity of chronic kidney disease as a risk factor for operative mortality in nonemergent patients in the California coronary artery bypass graft surgery outcomes reporting program. Yeo KK, Li Z, Yeun JY, Amsterdam E. The American journal of cardiology. May 1 2008;101(9):1269-1274. Use of stent grafts and coils in vessel rupture and perforation. Yeo KK, Rogers JH, Laird JR. J Interv Cardiol. Feb 2008;21(1):86-99. Aortic stenosis: assessment of the patient at risk. Yeo KK, Low RI. J Interv Cardiol. Dec 2007;20(6):509-516. Dual mechanism platypnea-orthodeoxia syndrome from severe right coronary artery stenosis and a patent foramen ovale. Yeo KK, Rogers JH. Catheter Cardiovasc Interv. Sep 2007;70(3):440-444. Clinical characteristics and 30-day mortality among Caucasians, Hispanics, Asians, And African-Americans in the 2003 California coronary artery bypass graft surgery outcomes reporting program. Yeo KK, Li Z, Amsterdam E. The American journal of cardiology. Jul 1 2007;100(1):59-63. The association of methamphetamine use and cardiomyopathy in young patients. Yeo KK, Wijetunga M, Ito H, et al. Am J Med. Feb 2007;120(2):165-171. Ethnicity modifies the association between diabetes mellitus and ischaemic heart disease in Chinese, Malays and Asian Indians living in Singapore. Yeo KK, Tai BC, Heng D, et al. Diabetologia. Dec 2006;49(12):2866-2873. Valve replacement in endocarditis: setting limits in noncompliant intravenous drug abusers. Yeo KK, Chang WJ, Lau JM, Tan SY. Hawaii Med J. Jun 2006;65(6):168, 170-161. Tachycardia-induced elevations in cardiac troponin in the absence of coronary artery disease. Yeo KK, Cruz L, Hong R. Hawaii Med J. Mar 2006;65(3):86-87. Procedural success and complications following percutaneous coronary interventions among Asians and Pacific Islanders. Yeo KK, Beauvallet S, Mau MK, Seto TB. Clin Cardiol. Sep 2005;28(9):429-432. Multiple cardiac papillary fibroelastoma and transient left ventricular apical ballooning syndrome in an elderly woman: case report. Yeo KK, Fukuyama O. J Heart Valve Dis. Jan 2005;14(1):137-139. Stereotactic brain biopsies in AIDS patients--early local experience. Yeo KK, Yeo TT, Chan CY, Sitoh YY, Teo J, Wong SY. Singapore medical journal. Apr 2000;41(4):161-166.